It’s official TVLine has posted exclusively that Michael Weatherly will be in fact leaving NCIS at 13 years with the show. At the end of Season 13 Michael and Tony will being saying goodbye. Following TVline’s article Michael Weatherly tweeted out to the fans. “Déjá Vu” – While investigating the murder of a seaman who was set to testify before a grand jury, the NCIS team uncovers the resurgence of an international human-trafficking ring. 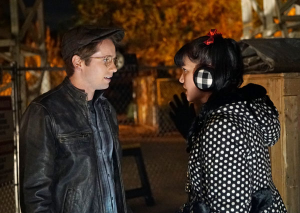 Also, McGee hopes to spend the night at a colleague’s home after a storm causes massive power outages in the city, on NCIS, Tuesday, Jan. 19 (8:00-9:00 PM, ET/PT), on the CBS Television Network. Directed by series regular Rocky Carroll. 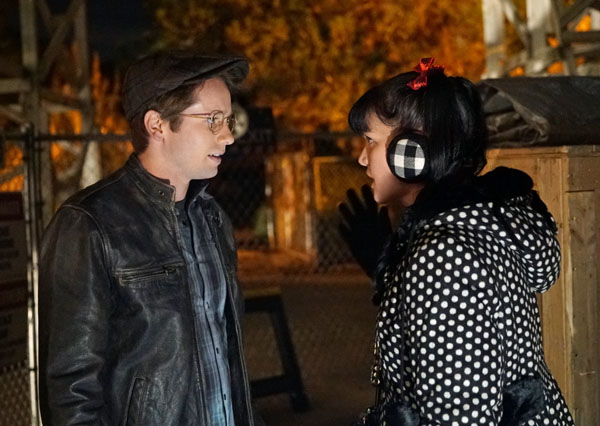 TvLine: What’s new for NCIS in 2016? Ausiello: The CBS juggernaut, perhaps inspired by our bullish renewal prediction, is looking to add a pair of fresh, young faces to the team in Season 14. The newbies, one male and one female, would both be series regulars. “Sister City: Part One” – After the passengers and crew of a private plane traveling from New Orleans to Washington D.C. are lethally poisoned, all evidence points to the missing chef, Abby’s brother, Luca (Tyler Ritter). 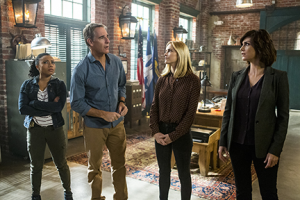 Gibbs and the D.C. team work in conjunction with Pride and the New Orleans team to locate Luca and determine why a private tech company was targeted, on the first part of a special two-hour crossover event on NCIS, Tuesday, Jan. 5 (8:00-9:00 PM, ET/PT), on the CBS Television Network. “Sister City: Part Two” – While Special Agent Pride and the New Orleans team investigate a Russian sleeper agent who was involved with Abby’s brother, Luca (Tyler Ritter), Sebastian flies to D.C. to partner with Abby on the forensics in the case. Also, Bishop drives through the night to deliver a package and work the case with the New Orleans team, on the conclusion of a special two-hour crossover event on NCIS: NEW ORLEANS, Tuesday, Jan. 5 (9:00-10:00 PM, ET/PT), on the CBS Television Network. “Blood Brothers” – In the hopes of sparing a family further tragedy, the Secretary of the Navy calls on NCIS to help a sailor battling leukemia locate a bone marrow transplant after his two Marine siblings are killed in the line of duty. Also, Bishop returns home to Oklahoma for the Thanksgiving holiday, on NCIS, Tuesday, Nov. 24 (8:00-9:00 PM, ET/PT), on the CBS Television Network. Lindsay Wagner guest stars as Barbara Bishop, Special Agent Bishop’s mother. “Day in Court” – In order to clear his name, a petty officer volunteers to be court martialed if NCIS agrees to conduct its own investigation after his murder case is dismissed due to a mishandled warrant. Also, Bishop and Jake discuss their marital problems, on NCIS, Tuesday, Nov. 17 (8:00-9:00 PM, ET/PT), on the CBS Television Network. Nov. 3, “16 Years”: The murder of a retired Navy Lt. Commander forces Ducky to reveal his participation in a “secret society” that solves cold cases. Jessica Walter (Arrested Development) guest-stars. Nov. 17, “Day in Court”: Salli Richardson returns as lawyer Carrie Clark for “a twisty-turny legal mystery,” says Glasberg. “Parallel to that in a really significant way, we learn disturbing things about Bishop’s personal life.” Cue Jamie Bamber as Ellie’s husband, Jake. Nov. 24, “Blood Brothers”: While Gibbs & Co. tackle a “Saving Private Ryan-type” mission, Bishop spends Thanksgiving back home with her mom (Bionic Woman’s Lindsay Wagner). “Saviors” – DiNozzo is reunited with his ex-girlfriend, Jeanne Benoit, when insurgents in Sudan attack a group of volunteer doctors, including her husband. DiNozzo and McGee travel to the crime scene for the joint murder and kidnapping case and join the search for the missing doctors, on NCIS, Tuesday, Nov. 10 (8:00-9:00 PM, ET/PT), on the CBS Television Network. Jon Cryer returns as Doctor Cyril Taft. Scottie Thompson returns as Jeanne Benoit.